Never worry about keeping your mp3 files organized again! NeatMP3 takes the headache out of having to organized your mp3 files from various albums and artists. If you are anything like me I like to play music from my smartphone. I want to make sure that all of my albums have the correct track listings and that the album cover will show as each track plays. I have had the unfortunate task of having to add contributing artists and track info to an album I bought from an online vendor. There is nothing like having tracks dispersed in that dreaded “Unknown Album” folder! Neat MP3 is here to save the day and keep your files in order! Here are some of the features it has to offer! 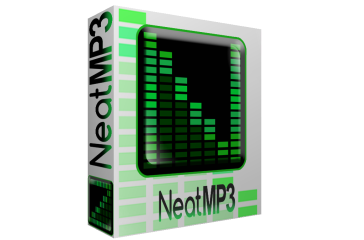 NeatMP3 Pro is a powerful music organizer software for Windows and Mac OS X that will enable you to easily merge, organize, rename and edit the tags of all the audio files on your computer. Do you have thousands of poorly labeled music files scattered all around your hard drive that are just waiting to be organized and renamed? This is where NeatMP3 Pro comes in with its intuitive interface and powerful organizing engine. 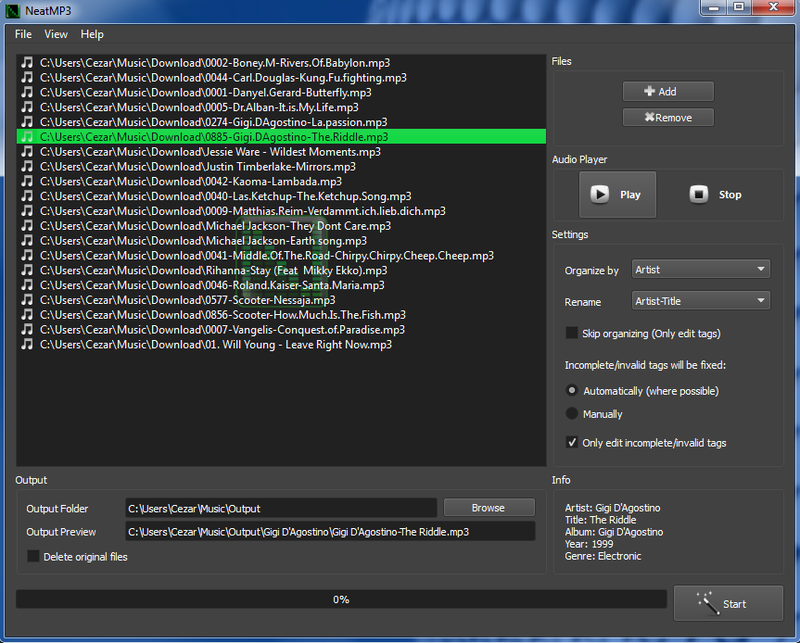 With NeatMP3 Pro you can merge, organize, rename and edit the tags of your audio files in a single processing session. Just select a set of audio files, choose the way in which your files will be organized and renamed from a wide set of commonly used predefined patterns, select the location where you want your files to be moved and you’re ready to go. Get a perfectly organized music collection in just three easy steps. If the audio files that you are trying to organize have incomplete or invalid tags NeatMP3 Pro will automatically take care of them by removing the invalid tags and filling the incomplete tags with information extracted from the names of the original files. Want to manually edit your tags? No problem! NeatMP3 Pro also allows manual and batch id3 tag editing, offers support for Unicode characters and in case you are having trouble filling those missing tags, the online tag search option will make your job a lot easier by providing you with very accurate tag information. NeatMP3 Pro supports all the commonly used audio file formats (MP3, OGG, FLAC, WAV, MPC, AIFF, ASF, MP4) and also benefits from additional features like custom rename, output preview, file search, saving the current setting as profiles for later use, logging, deleting the source photos after processing and even allows you to play the songs that you are organizing. All these features combined make NeatMP3 Pro a very useful music organizing tool that every music enthusiast should have. If you are ready to get your music files in order, give this software a try! We will be giving away a copy of this great software to one of our readers! To enter for a chance to win, all you have to do is simply leave a comment on this entry! That’s it!